Warm sun. Beautiful beaches. Sounds almost perfect right? Imagine spending time in paradise and learning about the islands and its people while your at it. With a Road Scholar trip to Hawaii, you can get all that and more. Hawaiian Road Scholar, formerly Elderhostel, trips will teach you about the history, people and culture while giving you a smashing good time. In 2009, Elderhostel International changed the name of its travel and learning programs to Road Scholar. Although the organization has a different name, it still offers seniors the opportunity for educational travel programs and learning experiences that are fun and affordable. Although members must be at least 55 years old, they can travel with a family member or friend of any age. Each year Road Scholar offers more than 8,000 programs in all fifty states and more than ninety countries throughout the world. 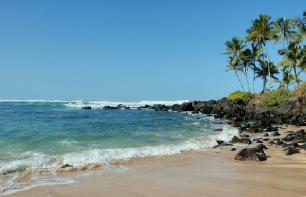 Road Scholar offers more than twenty different Hawaiian trips. Naturally, not every trip to Hawaii is offered all the time. To find out which Hawaiian adventures are currently being offered, visit the Road Scholar website. The following are highlights of several types of the Road Scholar Hawaiian adventures. This program allows free evenings and a free afternoon for travelers to explore their own interests. While on the ship, participants also learn about the culture and history of Hawaii and get to visit the port town of Kaunakakai on Molokai and Front Street on Maui. Whether you want to explore the Hawaiian Islands from a cruise ship or begin your Island adventure after your plane lands at Honolulu International Airport, the variety of trips offered by Road Scholar ensures that there is certain to be a program that is the perfect Elderhostel trip to Hawaii for you.